Need a good way to advertise your business? 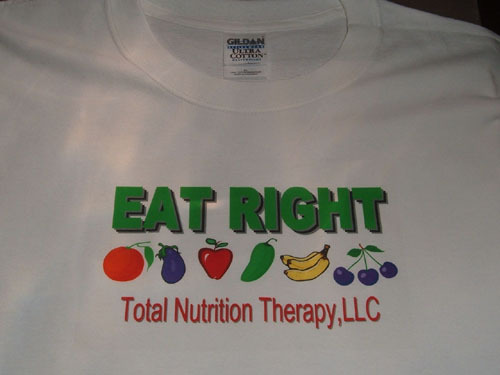 Try our nutrition savvy t-shirts which can be customized with your business name and logo to distribute to your clientele. Includes fun graphics, food pyramid, and more.